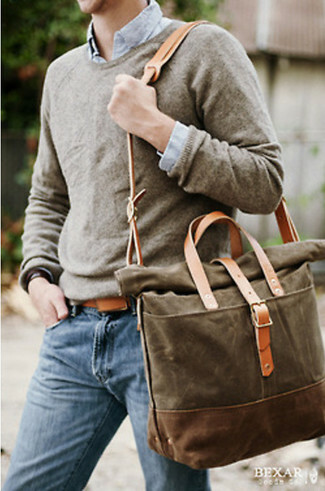 Pair a beige blazer with a Claiborne Brown Leather Belt Wdouble Keep for a relaxed look with an urban finish. Brown leather loafers are a guaranteed way to inject an added dose of style into this ensemble. If you prefer relaxed dressing when it comes to fashion, you'll love this on-trend pairing of a camel duffle coat and a Claiborne brown leather belt wdouble keep from jcpenney. 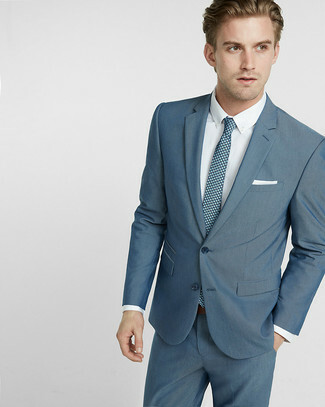 For a laid-back getup, pair a teal suit with a brown leather belt — these pieces fit really well together. If you prefer relaxed dressing when it comes to fashion, you'll love this easy combo of a grey crew-neck sweater and a Claiborne brown leather belt wdouble keep. Pair a white and black horizontal striped long sleeve t-shirt with a brown leather belt if you're hunting for an outfit idea for when you want to look casual and cool. Put a different spin on this look by rocking brown leather boat shoes. This combination of a black blazer and a Claiborne brown leather belt is on the casual side yet it's also seriously stylish and razor-sharp. For something more on the sophisticated end to complete this getup, complete your look with a pair of brown suede tassel loafers. 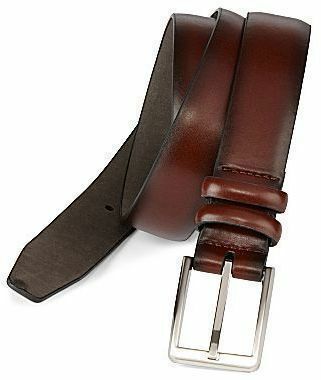 Dress in a brown herringbone wool blazer and a Claiborne brown leather belt to be both off-duty and comfortable. An olive long sleeve shirt and a Claiborne Brown Leather Belt Wdouble Keep from jcpenney are awesome menswear must-haves to have in your daily fashion mix. A pair of brown leather tassel loafers immediately classes up the outfit. This off-duty combo of a beige suit and a Claiborne Brown Leather Belt Wdouble Keep is capable of taking on different nuances according to the way you style it out.